While Men Go to Battle is a major step up from other, low-budget, Western-style, dramatic history lessons, its ladder only reaches so high, without the length to become an actual, solid, notable, memorable, big boy feature film. Director Zachary Treitz takes his first stab at a full-on movie with this period piece, and there's potential there if you're willing to look for it. He has an eye for the subtle moment, but too many subtleties only make a long evening, and his film definitely feels longer than its 90 minutes. He's just getting his feet wet, as are the stars of his project, so a few missteps are understandable and acceptable. Keep this director in mind, check back on him in a movie or two, and you just might stumble across a gem. Kentucky, 1861, and the beginning of the Civil War promises a quick end to a simple disagreement. For most folk, the war is distant, something brewing beyond the horizon but not something that has any immediate impact other than worrying that your slaves might get a bit uppity. Such are the lives of the Kentucky farmers, including brothers Henry and Francis Mellon. They aren't wealthy enough to have any slaves or local clout; hell, they can barely scrape together a living on their small farm and can barely put in enough work to keep half of it in crop. Francis is the wheeler, the dealer, the talker, and the money-spender, while Henry remains quiet and subdued, a simple man in troubling times. A strange night with a few odd incidents will be enough to disrupt this pair of brothers and to send them off in their own separate directions. A playful, drunken brawl by the fire one evening leads to an injury to Henry's hand, which then requires a trip to town to see the doctor. At a party hosted by the leader of the town, Henry, still inebriated, risks a conversation with the beautiful Betsy Small, a young woman who could not possibly be more out of his league. The close confines of his own home, the failing farm, the injury, the spurning; it's all too much for Henry and he disappears into the night. When word reaches Francis that his brother joined the army, the two begin a correspondence that reveals the many sides of this historic time. Good try. And although that can be such a condescending phrase, I don't mean it to be here. No, I mean it literally; this film is a good try at a cool genre, if not exactly a complete success through and through. It takes the harshness of the Western, bleeds it into the Civil War, pits brother against brother, doesn't cover up the many harsh realities of the time, and never attempts to touch on every subject, an endeavor that would have been futile. 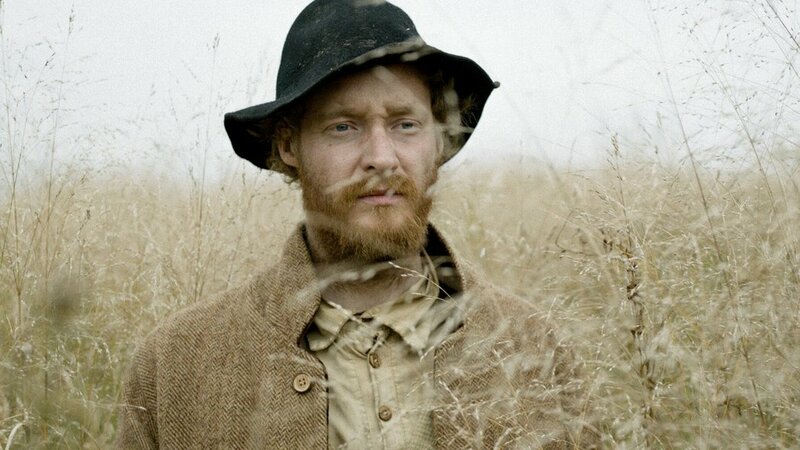 The simplicity of the farm and its inhabitants, their neighboring town, the everyone-knows-everyone mentality; that's all captured very well, and shows that this director does have promise, that he can envision how to say what he wants to say, even if he can't speak eloquently quite yet. But now to the bad tries, because there were plenty of those as well. The film definitely has an indie air, and while there's nothing wrong with that, there are times that feel decidedly dad-with-a-camcorder. There are some quality issues, especially with the weird night vision scenes, that make it too obvious that there was absolutely no money at hand to produce this movie. The acting is another issue, one that needed addressing across the board, really, as the entire cast was indie actors doing the best they could. Again, nothing inherently wrong with that, it just eventually became a distraction. If someone got a hold of this film in the future, tried it again with more money and a different cast, there's a chance that magic might be lurking just beneath the surface. Video: With an aspect ratio of 1.66:1 Widescreen, the video quality of this film is not something that will elicit any praise. It's very low-budget, especially any scene in low light, and feels it every step of the way. There are a few very nice visuals, especially centering on the War itself, but otherwise it was someone with a camera in a farmyard. Audio: The DVD was done in 5.1 Surround, with an option of 2.0 Dolby Digital. The film can also be played with a director and cast commentary track. There are no language or subtitle choices. The sound quality is as lackluster as the picture, with 'indie' written all over it. Extras: There are a few special features on the disc. 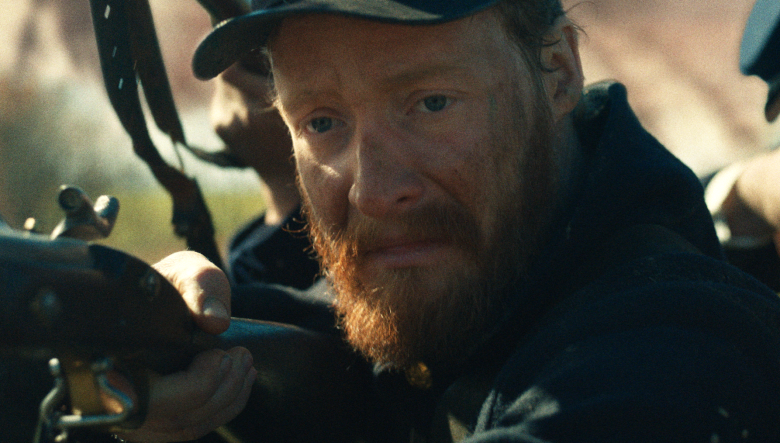 Operation Commando is a 20-minute short film, a story of two brothers on opposite sides of a summer camp war game. Deleted Scenes and Outtakes can be accessed here. There are seven trailers available: Men Go to Battle, Neither Heaven Nor Earth, Schneider vs. Bax, Ugly Dirty and Bad, The Automatic Hate, Take Me to the River, The Quiet Earth. And there is a paragraph of information about Film Movement for your reading pleasure. Recommended. 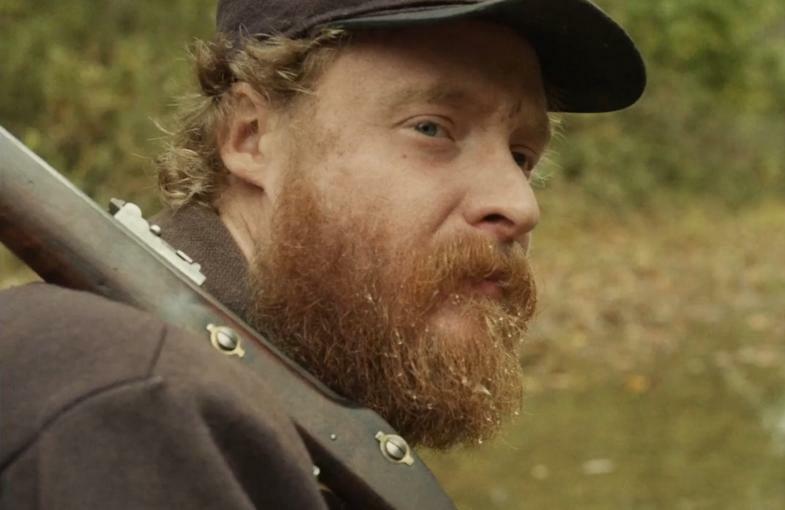 Men Go to Battle plays a little like Cold Mountain, but without the major romance story. There's even a scene where Henry stays with a woman and her children, a sad scene that speaks of the losses on both sides during the war. It's very similar to a scene with Jude Law and Natalie Portman, and there's definitely some copying going on in regards to leaving home, missing home, coming home. But, and I keep saying this, these negatives aren't really to the film's discredit, not incredibly anyway, as this movie is a good attempt at what other, bigger productions have pulled off before and this little guy is trying to accomplish. That it isn't perfect is expected, so there's only so much you can criticize it. The video is understandably poor, the audio forgettable, but there are a few extras on the disc if you want more. Overall, a film to remember only if its pieces go on to do greater things.